The FORMIA - Luxury Glass Murano brand offers a range of extremely high quality products giving a modern twist to traditional shapes for a look of timeless elegance. True works of art, unique creations encapsulating all the knowledge and crafts expertise of our master glassmakers. The product range includes chandeliers, floor lamps and wall sconces in two lines: the more traditional look of Classiclights and the fresh contemporary look of Designlights. 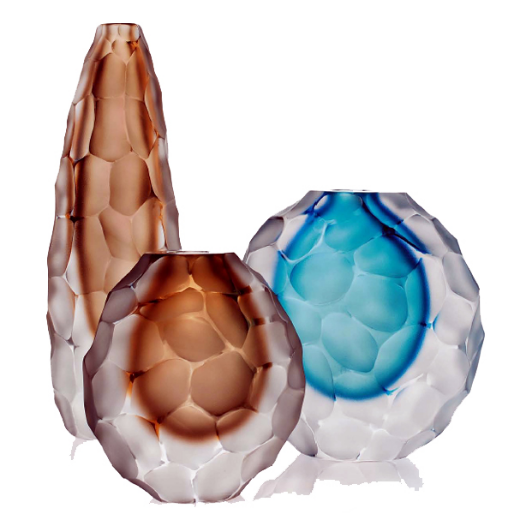 The interior lighting line is accompanied by furnishing accessories in the Opere and Liriche lines where the art of glassmaking gives rise to a collection of highly refined vases, goblets, mirrors and ornaments.